1. The excitement felt around a bunch of little girls as they wait to march in a parade together. 2. The pride on kids' faces when it's their turn to hold a banner in a parade. 3. The increase in parade enjoyment when the temperature is in the 50s instead of the 30s or 40s. 4. The feeling I always get when I hear a marching band. 5. 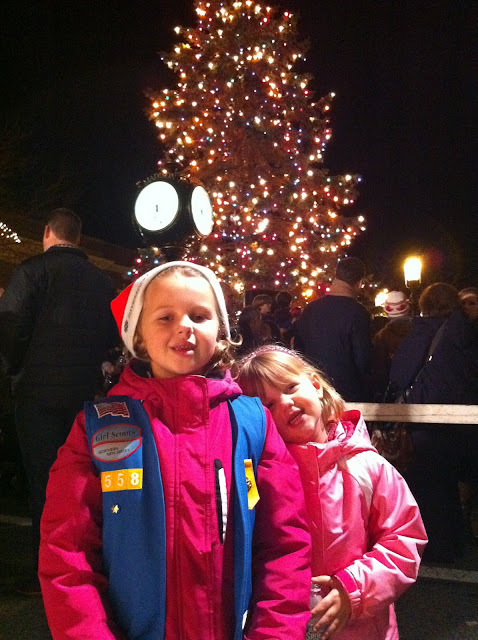 The anticipation felt in the last few seconds before the town Christmas tree is lit.